One of the best ways to minimize the risks that come with owning commercial property is through insurance for your business. Our commercial property insurance in Orlando, FL, is designed to protect against theft, fire, and any natural disasters that could potentially damage or destroy the investment you've made in your business. When you rent your business property from a third party, you are still liable for any damage that occurs (in most cases). In addition to giving you the peace of mind you need, our commercial property insurance helps you retain your income instead of wasting it on lawsuits or construction fees for rebuilding your business. With Alliance & Associates on your side, you'll be able to protect your company's property from anything that comes its way by guarding your investment with some of the best rates available in the industry today. All of our commercial property insurance policies are tailored to the specific requirements of your business. This ensures that you only pay for coverage that pertains to your business, which means that you won't have to bother with wasting your money on services you don't need. Our coverage protects you against problems with tenants and any other liability issues that could put you at risk of losing money as a result of an accident. Another advantage of business property insurance is its eligibility to be written off as a tax-deductible expense at the end of every year. Regardless of your location, many federal tax deductions are available when it comes to owning and insuring your commercial property. There are multiple opportunities to deduct premiums for your commercial property insurance, including coverage for fire, flood, theft, and landlord liability. You also have the option to deduct any costs involved with workers' compensation for employees working on your business property. Your business can be negatively impacted by settlements resulting from injury lawsuits involving negligence on your property. In the event that such an unfortunate event occurs, our commercial property liability insurance helps to cover the costs so you don't lose your hard-earned profits. Our insurance agents have more than 100 years of combined experience and are ready to help you with any questions you may have when you reach out to us for a free quote. 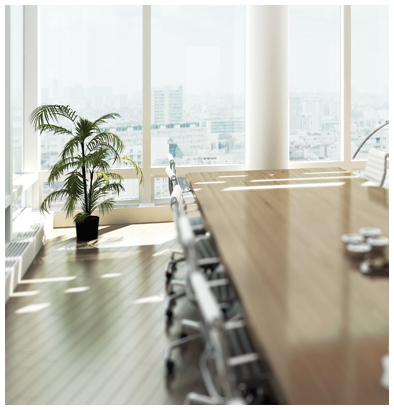 Contact us to find out more information about our commercial property insurance. We serve clients in Orlando, Kissimmee, Winter Park, Apopka, and Sanford, Florida, and the surrounding areas.